A torque wrench is a tool used to apply a specific torque to a fastener such as a nut or bolt. It is usually used in situations where the tightness of screws and bolts are crucial as it allows the operator to measure exactly how much torque is being applied to the fastener. Due to the precision it provides, such tools require added care and maintenance to ensure accuracy during application. When using the torque wrench, one click signifies that sufficient amount of torque has been applied to the fastener. Avoid multiple clicks as this adds extra torque to the bolts which can negatively impact the overall accuracy during application. Even though crow’s foot style bolts can be fitted to torque wrench square drives, it can still alter the torque. 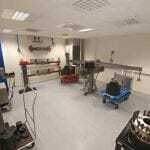 Therefore, it is important to find a suitable offset to be applied to set the torque, or use a different tool that is better suited to such fittings. Be sure to apply the adjustment lock on the torque wrench before operating the tool to avoid any accidentally or unintended changes, and ensure precision while using it. Most torque wrenches come with a marked loading point on their handles, which often go unseen. But, if you want accurate results, then it is essential to operate the torque wrench with your hand centered over the marked loading point. Pro Tip – For accuracy during calibration, always remember to handle the wrench from load point. While you can use a torque wrench to undo a bolt, you must be careful about staying within the permissible torque limit. If you exceed the maximum torque limit while undoing a bolt, you may compromise the wrench accuracy, thereby affecting its future application. Thus, it is always best to use another tool to loosen bolts. 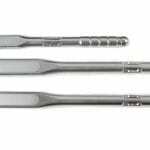 Never use a pipe or any other object to extend the torque wrench handle as it can seriously damage the tool and impact its performance. Equipment manufactures always provide the torque required for any piece of equipment and it is imperative to adjust your wrench to the levels provided to ensure accuracy during application. Most torques will only indicate readings when used in a clockwise manner. Therefore, if you want to use it in the anti-clockwise direction, be sure to check the wrench’s specification. Using the wrench in the direction opposite from its intended use may lead to loss of torque control and cause serious damage. If you don’t use your torque wrench as often, it is important to wind it down to the minimum scale setting. This is done in order to avoid weakening of the spring over time. However, if you regularly use it, you need not wind it back. Pro Tip – Never unwind the torque wrench to zero scale setting as that may cause the components within the wrench to move, thereby impacting the orientation of the spring compression. Therefore, it is always best to keep it at the minimum setting for best results. By simply keeping the above mentioned factors in mind, you can avoid chances of serious mishap or damage to personnel and property while ensuring accuracy and precision during application.